You walk into Sephora and see all the beautiful makeup that calls your name. The makeup literally speaks to you to buy it. You hold it. You try it on. Next, you picture yourself wearing it everywhere. Then, you look at the $50 price tag. Check your bank account with is over-drafted $29.50 and put it back. Saddened by the event, you search the store high and low for the sale section. You turn the corner, enter a secret tunnel, cross a forbidden river and finally find the shelf of marked down products. Only to find that the only thing there is nail polish in a color you hate and an opened and used eye shadow trio palette. How many times will we put ourselves through this before we realize that there are better ways to buy makeup? We don’t need to sacrifice every other life necessity to achieve flawless make-up looks. 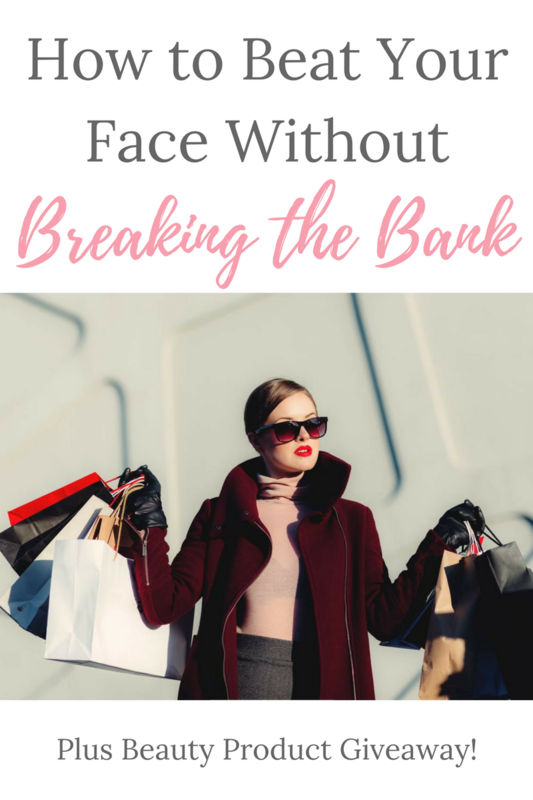 Here are some of my favorite ways to save money while having a beauty addiction. This is probably the most obvious choice when it comes to saving money but getting amazing makeup. Basically, you pay around $10-20 a month and each month you get around 5 makeup samples (depending on which box you choose). I’ve used iPsy for over a year and love it. For $10 a month, I get 5 samples every month. Now, these samples aren’t always a tiny bottle of something I’ll never use. I’ve gotten many quality products that were full sized. Especially makeup brushes and liquid eyeliner. I haven’t bought liquid eyeliner in months because I’ve gotten so many full sized products that there’s no need! Plus, you get to try new and different brands! How great is that? Here’s a list of some great beauty subscription boxes! With so many different brands and products, we are starting to see a similarity in a lot of beauty supplies. Similar shades and similar formulas means that you can often find a cheaper alternatives to pricier brands. NYX Cosmetics is a wonderful brand that I often see as a more affordable alternative to more expensive brands. I’ve used a few of their cream lipsticks and eye shadow trio palettes (thanks to iPsy) and love them! I’ve often seen their products compared to Kylie Cosmetics, Anastashia Beverly Hills, and Kat Von D products! The best part is their products are rarely more than $10! You can find makeup dupes all over. Just type in your favorite product into google and see what you find! If you want great discounts and free stuff, you should sign up for your favorite brands’ rewards program. If you’re a Sephora addict like me, you have a Beauty Insider card. Every time you make a purchase from the store, you get points that go towards a free product! You also get a free birthday gift every year. Many stores have similar programs which means more free stuff for you! Teen Vogue composed a great list of the many beauty rewards programs that you can sign up for here! Has anyone else heard of this new trend? Makeup extremists especially beauty bloggers and vloggers are now sneaking into dumpsters behind makeup stores to collect old unsold makeup that has been thrown out. So many flaws to this story. Why are the makeup stores throwing away perfectly good makeup? Why (someone please explain) are people going into dumpsters to get makeup? I mean, I love makeup from the bottom of my heart, but not enough to do that. Don’t believe me that people are doing this? Check this out. Let me just be clear, that I included this on the list purely as information. Please don’t go jumping in dumpsters for makeup. Just do the other tips instead. Thank you.